Maximal’s GAP Discovery™ is a proprietary assessment method, facilitated by Maximal’s professionals, aimed at identifying the Product Management GAP areas in your organization. 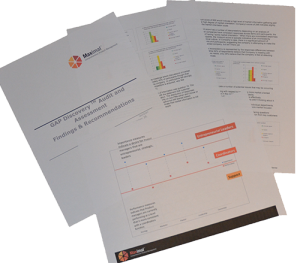 The discovery process includes a full spectrum analysis of GAP areas: Products and Services, People and Skills, Processes and Systems, and Planning and Strategy. We call the process “GAP” because our approach helps companies identify the organizational, structural, personnel, or functional GAP areas throughout the organization that impede superior product management and, ultimately, market performance. One-Hour FREE Consultation- Maximal will conduct a preliminary consultation with your company around its GAP profile and what it means. 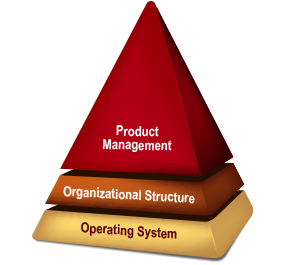 From here, we can prescribe the appropriate next steps for improving or optimizing the product management competency of your company. The GAP Discovery™- Full engagement begins with a GAP Discovery customized to your company’s situation and need as identified in step one. The facilitated GAP Discovery session will help company leaders come together to more deeply explore the company’s GAP assessment and identify specific strategies and actions for correction and improvement. Audit and Assessment Report-A work plan based on the GAP Discovery session with articulated strategies, actions, responsibilities and timetable. It’s everything you need to transform your business into a high-performance product management company.